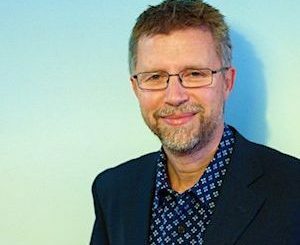 In 2015 Nic handed on the leadership of Frontline church, which he and his wife Jenny planted in Liverpool in 1991. It grew to be a church of about 1000 adults and children and has had a significant influence and impact in the city of Liverpool, and beyond. Since handing on Frontline church, Nic has taken on the role of Director for both Kairos Connexion (Kx) and Together for the Harvest (TFH). Nic has been married to Jenny for over 43 years. They have 4 daughters and 8 grandchildren. *Food orders must be booked by 29th April. 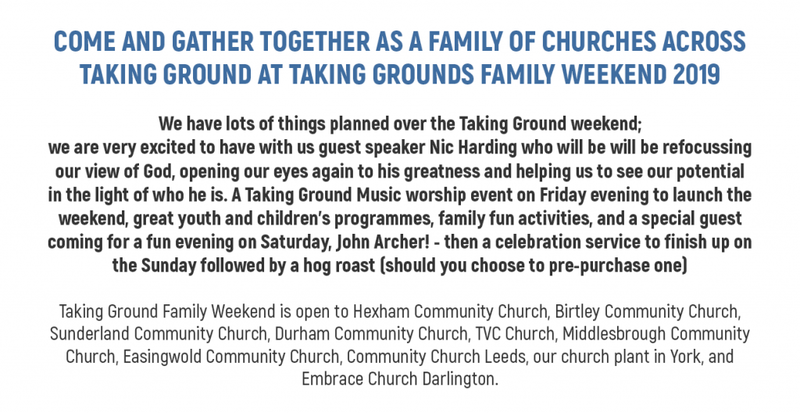 The Taking Ground Family Weekend will be a highlight for our children and youth. 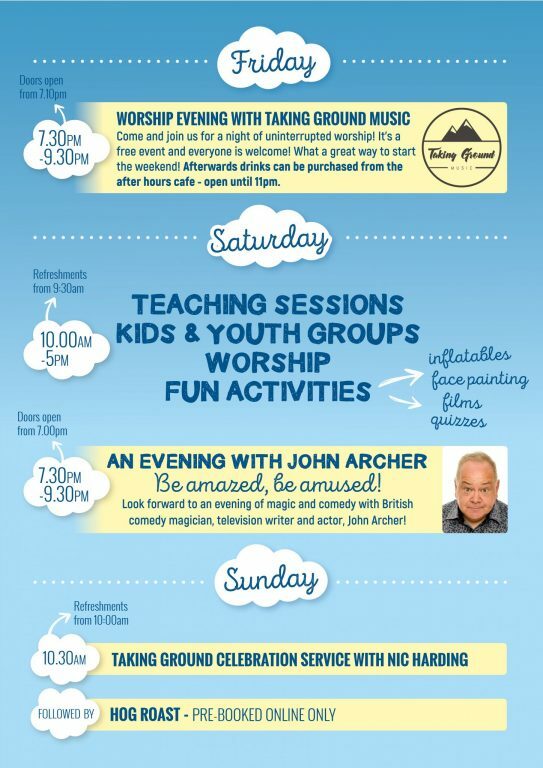 We will have a fun-packed and faith-inspiring programme for ages 0-16. We we will be joined by Ste and Sam from Big Kids – a Christian, Teesside based, children’s project. They will be leading sessions for our primary aged children on Saturday. Click HERE to find out more about Big Kids, Teesside. We also have crèche, preschool and youth work led by workers from our Taking Ground family. Sunday will have a full programme of children’s work during the Celebration. We are encouraging those from TVCC, MCC & Embrace to make spare rooms available as a further option. If you are able to connect up directly with friends who can host you, please do so. If you need help to connect with a host, please click on ‘REQUEST ACCOMMODATION’ below, alternatively if you are able to offer accommodation please click on the ‘OFFER ACCOMMODATION’ below. (*we cannot guarantee places for everyone, but we will do our best!). Prices correct as of 14.3.19 – likely to increase or sell out as the date approaches. *Please note – Taking Ground cannot be held responsible for any issues involved in external accommodation bookings). The Oakwood Centre, base of TVC Church, in Teesside has been used for many years for regional celebrations. Previously a conference centre, it has a large capacity and many rooms perfect for holding different groups and meetings. The centre has its own large car park which is free. Company Registered in England and Wales. Company number: 08295067. Copyright © Taking Ground. Part of Salt & Light Ministries. Designed by Renoovo Design Ltd.